Johnny Hunter, Tempo News, Jackie Miles Pensacola Voice, Debra Thompson Metro News, Senate President Andy Gardiner, Gayle Andrews Secretary, Jim Madison Florida Sun, Bobby Henry Westside Gazette in the Florida Senate Chambers. 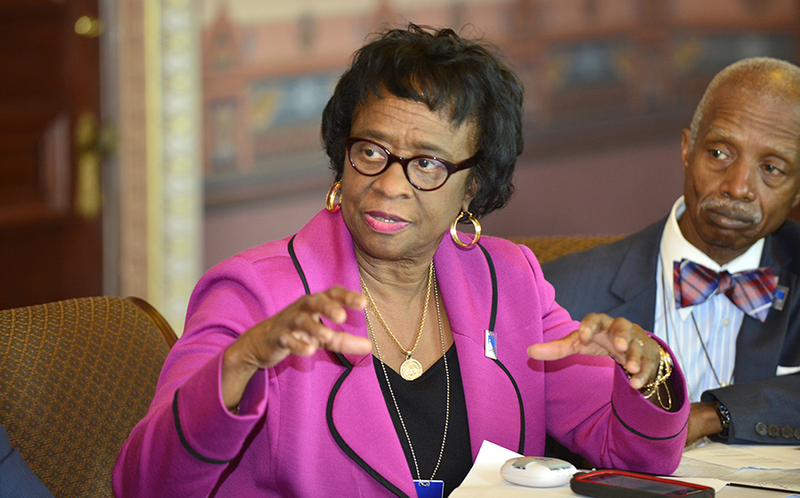 Tallahassee, Fl—Members of the Florida Association of Black Owned Media spoke with members of Florida’s power elite during its two day visit to the state Capitol. 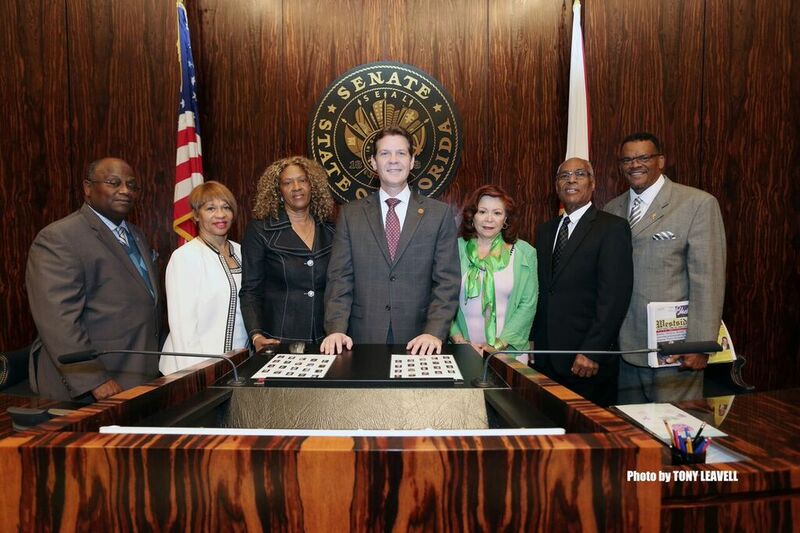 Florida House Speaker Steve Crisafulli and Senate President Andy Gardiner met with members and discussed a new communications path to the African American Community. The leaders will be providing legislative overviews to the papers at the session’s conclusion, which is a first and a welcomed addition. Member publishers also visited Florida A&M University for an update on the critical science discoveries at the nation’s number one HBCU research institution. Vice President for Research Timothy Moore. Ph.D., reviewed the doubling of research dollars and the upgrade of the research status to a Carnegie Level II. The tour of laboratories brought a discussion of the progress of breast cancer research which is a major killer of African American women. The Alpha Kappa Alpha Town Hall Meeting Black Lives Matter was moderated by FABOM Secretary Gayle Andrews which included a panel discussion led by civil rights attorney Daryl Parks, FABOM President Bobby Henry, Leon County Commission Chair Bill Proctor, Leon County Schools Superintendent Jackie Pons, Sharon Ofuami Leon Crime Stoppers Executive Director and several others.